It's been quite a treat looking back to see everyone favorite recipes. Without further delay here they are, starting with the 10Th most popular recipe. Happy New Year to all my readers and here's to a Delicious 2012!!!! This bread has the goodness of an apple pie wrapped up in a streusel topped quick bread. The combination of the buttermilk and the apples make this bread really moist. I like a thick chewy pizza crust and this recipe did not disappoint. I was so excited when I found this recipe!!! I'm so happy to hear that it has become a favorite in your kitchen as well. Trisha Yearwoods Hot Corn Dip is so cheesy and good. This recipe comes from her second cookbook "Home Cooking". One of my top cookbooks in my collection along with her first one, "Georgia Cooking in a Oklahoma Kitchen". No surprise on this post!!! Everything you need to know about packing school lunches for your kiddos. My favorite beans have always been pinto beans with ham. Now Northern Beans are my new bean of choice. These are always a favorite at any party. Not just for Valentines Day, but Christmas as well. These taste just like a Reese's Peanut Butter Cup. Pulled pork sandwiches are a favorite here in Texas. I love the addition of root beer in mine. Looks like you guys liked them as well. Another Trisha Yearwood recipe, so enough said!!!! 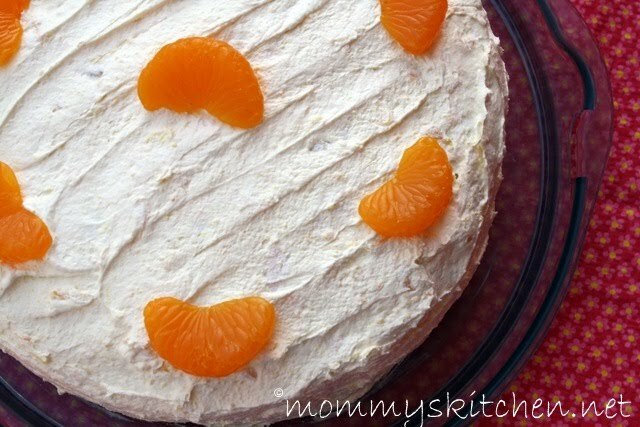 And the number one most viewed recipe at Mommy's Kitchen was my Mandarin Orange Cake! I can't say that I'm surprised. This is one of my favorite of southern cakes!!! Goodness that looks soooo good...just pinned u up on pinterest......luv your site! Thank you so much to the both of you. 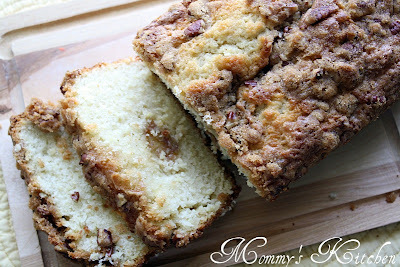 I love that Apple Pie Bread. Happy New Year Leslie & Deana! Wow, What a spread of food you have here!! I don't know what I want to try first?! Keep 'em coming, Girlie! so glad you posted this...i missed a few of these, so i look forward to trying them :) thanks again...i really enjoy your blog! These all look so amazing!! 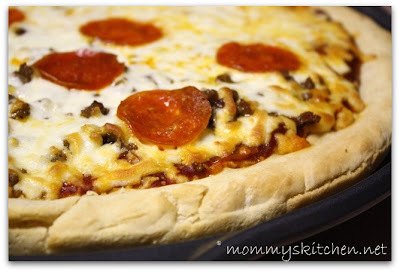 My hubby and I have been using your Pizza Crust recipe on a nearly weekly basis ever since you blogged about it. We love it because we can customize our pizza and it is SO good!! (we had been missing out on pizza because delivery pizza isn't nice to hubby's stomach!). This past week, I doubled the recipe and made breadsticks out of the second half by just adding a little garlic powder and rolling them out. SO yummy! We also experimented and took string cheese sticks, cut in half, and wrapped them in the dough to make cheesy breadsticks. The cheese melted out of some of them, but they were really good, too! Anytime a friend is looking for new recipes, I send them here because everything I've ever tried has come out great and is great!! Oh, the fam can't get enough of my Southern Pecan Pie that I make from your recipe...had requests at both Thanksgiving AND Christmas, and received multiple compliments that it was the BEST pecan pie they had ever tasted. :) Keep the great recipes coming!! Oh.thanks a lot for sharing it as I have many from this. From above as all are awesome one but mine favorite is 1, 3, 4, 9 and 10. These all sound delicious, I can't wait to try the pizza crust! Hi I just wanted to say that I made the No Peek Beef Tips for dinner tonight and my husband and I both kept saying OH! 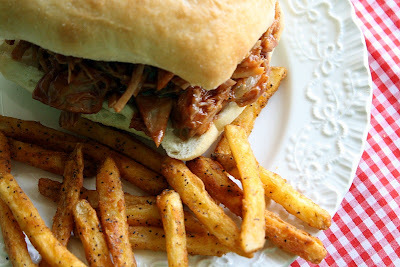 MY!.It was awesome and very easy to make .Love the Good Old Comfort foods keep em coming. Thank you for sharing the link on shaping dinner rolls! Thanks so much for your blog. I just pinned your apple pie cake and look forward to trying it after church on Sunday! My biggest dilemma when it comes to dinner is scaling recipes for anywhere from 2 to 6+! These recipes look like they'd hold up great to the dinner timing challenge.